Home > Questions for The Husband > New Curriculum – Same Teacher? Today the question comes from Keith! This can be a tricky and potentially dangerous answer, but let’s go for it. Keith, buckle in brother because this is going to be a wild ride for you. When there is any time that we as men think that we are right and the wife is wrong, we should take our thoughts to God and pray. We may be right, they may be right, or we both may be totally wrong. So Keith, step one is to pray. Pray for God to reveal the right direction to both of you. Keith, one of the smartest things I did was take my wife off on a curriculum planning day. We took our ideas, papers, books out to a state park along with a lunch and we talked. She presented ideas on how the day should go, I countered with my thoughts. Curriculums were tossed about on which one may and may not work. Which ones were more affordable and which ones were just so in-depth that it would cause confusion. There were no kids there to watch, listen out for, or to attend to. It was a time where the two of us got together and LISTENED to each other. 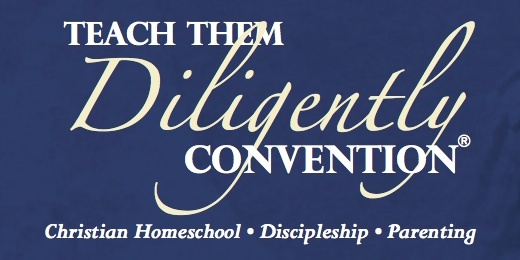 This gives you both a chance to voice your opinion on how to make your homeschooling work. Here is where your words turn to actions. If you believe that there needs to be a different curriculum, purchase it and YOU take over that subject. Some companies will allow you to purchase a one month trial or have a mid-year (start-over) discount. You may be right that your wife is comfortable with what she is doing. She may have a great understanding of what is expected and what to expect from your daughter. You taking that subject over and demonstrating how to do it and showing it in action may alleviate some stress from your wife in possibly swapping over to a different curriculum. However, it may also let you see that the problem may not be the wife or the curriculum. There is the chance that your daughter just does not care at this time to learn anything about that subject. Not bashing your daughter, just speaking fact. There are times in kids life when they just refuse to cooperate with anyone on some items. When the trial period is over, sit down and have a discussion with your wife. Explain what worked for you and what did not. Ask her what her thoughts were on the way it was done. See if her opinion of the curriculum has changed or has remained the same. Just be prepared that you Keith, may now be the teacher for this subject! If that is the case, hold that head up high and be the teacher! Take that subject and stress off of your wife. More men should get involved with their family in homeschooling so they are more aware of issues just like this. This may require for you to adjust your schedule with work. Currently, with one of my boys, I am doing something similar trying to help with focus in the mornings. Just be prepared to be the man but not the dictator. Men, if you are going through something similar, let’s hear about it. It is nice to know that you are not alone on the battlefield of homeschooling!